Norton Motorcycles, one of the oldest names in the biking world, has signed a partnership with the Kinetic Group of India at the 2017 EICMA motor show in Milan, Italy. Under this joint venture Kinetic will bring in the British manufacturer’s bikes into India as well other ASEAN free trade countries. They will first come in via the Completely Built Up (CBU) route, but once an assembly line is set up at Kinetic’s Ahmednagar facility, it plans to import the bikes as Completely Knocked Down (CKD) units. This should substantially lower costs in the long run and especially more so if Kinetic manages to source more than 50 per cent of the bikes’ components from local OEMs. 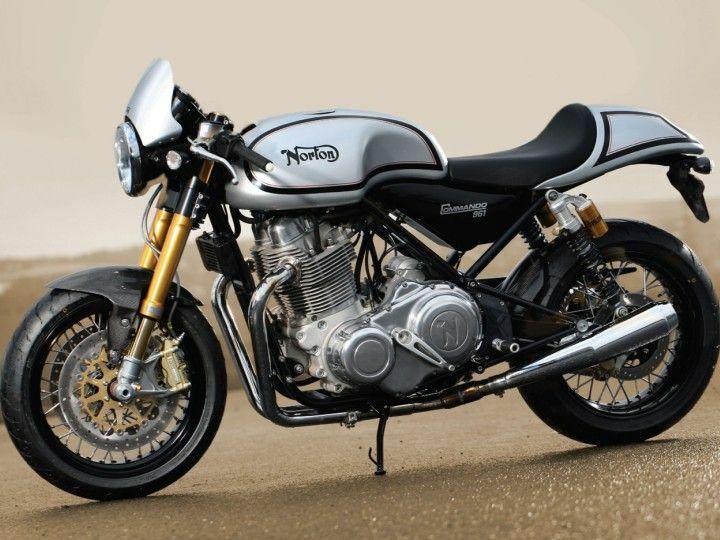 Kinetic will start with importing and selling the Norton Dominator and the two variants of the Norton Commando. There’s no word yet on whether Norton’s latest product, the V4 RR superbike, will come to India, but we reckon it will eventually. The first bikes are expected to go on sale by the end of 2018. Apart from India, other Asian countries being targeted include Bangladesh, Bhutan, Malaysia, Indonesia, Sri Lanka, Thailand, Vietnam, Nepal and the Philippines. Norton will provide design/engineering and IP guidance to Kinetic for the duration of the JV. The JV was signed at the Milan Motorcycle Show by Ajinkya Firodia, MD, Kinetic Engineering; and Stuart Garner, CEO, Norton Motorcycles. A formal announcement will be made at a press conference in New Delhi on 15 November 2017. Norton was founded in Birmingham, UK, in 1898 as a manufacturer of "fittings and parts for the two-wheel trade." By 1902, it had transitioned into making bikes, going on to make a long list of extremely well received streetbikes. Norton also saw considerable success on the racetrack, but the onslaught of newer and more advanced Japanese machines hit it hard. The firm is now experiencing a slow but steady revival after British businessman Stuart Garner bought the rights in 2008. Renowned Ducati/Piaggio Group designer Pierre Terblanche recently joined the team, which is one of the reasons we have high hopes for the brand. The Norton Commando, in Café Racer and Sport variants, is the company’s bread and butter product at the moment, while the Dominator is the more upmarket version with the same 961cc air/oil-cooled fuel-injected parallel-twin engine. All three come with a 5-speed gearbox and make 80PS and 90Nm. While the Commando 961 Sport MkII is priced at around Rs 13-14 lakh in the UK, the Dominator retails for Rs 18 lakh. After numerous attempts at regaining their old dominance in the two-wheeler market via tie-ups with numerous international brands, the Kinetic Group has firmly pivoted now, positioning itself as a seller of exclusive niche motorcycles. The company currently sells Italian brand MV Agusta’s bikes through its Motoroyale chain of upmarket boutiques in leading Indian cities.